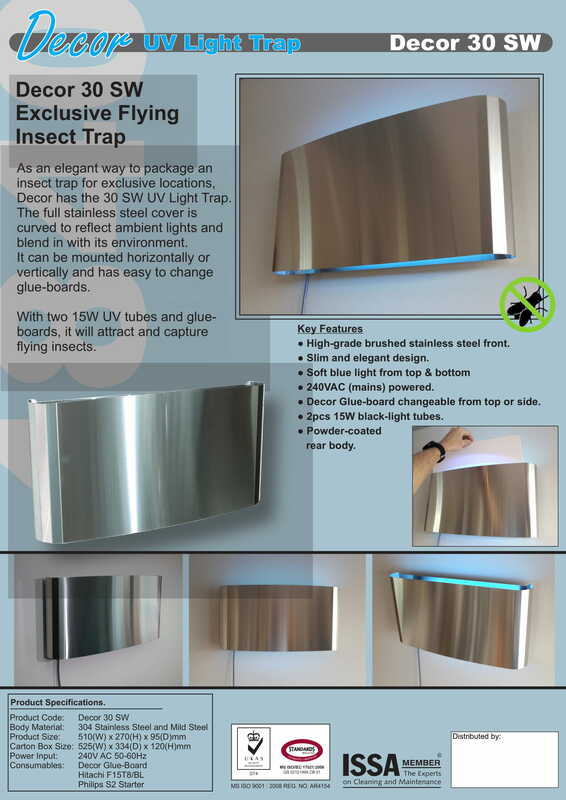 Decor-30SW (stainless steel) designed as professional insect light trap system with elegant decorative. This new range of environmentally responsible models offers decoration designs with highly efficient yet discreet fly control. 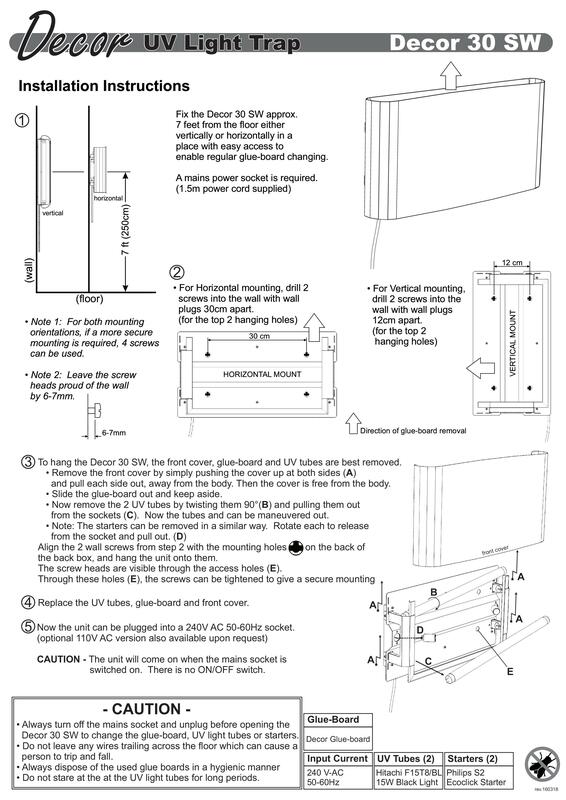 Flying insect are trapped on adhesive glue boards placed behind decorative front covers and two powerful 15-watt UV tubes standard lamp ideal for domestic and front-of-house applications. 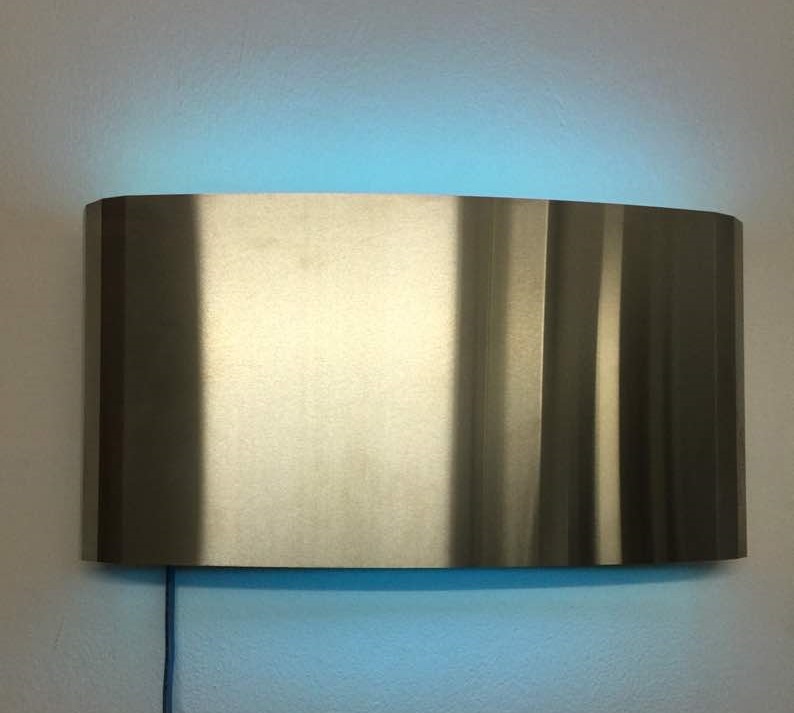 This attractive wall-mounted unit disguised as a wall light. It is perfect choice for areas where fly control should be discreet, e.g Dining area of restaurants, hotels, dining rooms, hospitals, convenience stores, supermarkets and all public areas where flying insect management should be hidden from view.